After fertilisation the seeds are attached to the parent plant. These seeds need to be dispersed away from the parent plant and others to reduce competition for resources such as light energy and water. Your task for this forum is to investigate the variety of different ways in which plants are able to disperse their seeds. 1) Please read pages 192-193 ´Dispersal of seeds and fruits´for background information on this topic. 2) Watch the video below about some interesting ways in which seeds are dispersed. 3) Research on the internet to find one interesting example of seed dispersal. You must attach a picture of the seed and also write a summary of at least 150 words about its stucture and method of dispersal. You may include some other interesting information about the seed also. IMPORTANT: You must not choose a seed from the textbook or the video. You must not choose a seed which your classmate has already chosen and added to the forum!!! The water Lilly has a specific structure for its method of seed dispersion, water or acuatic seed dispersal. •	Stomata that are open most of time because water is abundant and therefore there is no need for it to be retained in the plant. Flat leaves on surface plants for flotation. •	Air sacs for flotation. •	Smaller roots: water can diffuse directly into leaves. •	Feathery roots: no need to support the plant. All this helps the plant to realease the seed into the water and make all the seed dispersal process. How Are Sunflower Seeds Dispersed? - When most sunflowers "go to seed," they form structures that resemble tiny parachutes. - The upper portion of the parachute, called the pappus, resembles hair and is extremely lightweight. - A stem attaches to the pappus, and at the bottom of the stem is the seed or fruit of the sunflower. - Wind catches the hairlike structures of the pappus and lifts the seed from the plant and into the air current. - As long as the wind stays strong enough to hold the seed and pappus up, the entire structure stays airborne. - When the wind dies down and can no longer support the structure, the seed and pappus come to rest in a new location. - Some types of sunflowers do not form pappus structures. - These are transported most commonly by birds or animals who disrupt the seed from its position on the plant, intentionally or unintentionally. - Large sunflower plants that produce the kinds of edible seeds found in grocery stores, for instance, are a favorite of birds, who land on the large flowers and peck away at the seeds and carry them away or cause them to fall on the ground. - Other plants in the sunflower family, like the notorious cockelbur, have structures on the seed that get caught in the fur of animals or on clothing. - The stuck burs eventually are worked loose and the seed is distributed in a new area. Is the movement and and transport of seeds away from parent plant. Because of their limited mobility they usually rely of diferent factors, such us wind, water, animals, etc. The seeds once dropped are dispersed around the ground or moved into other flowers. With this process plants and flowers grow. -Seeds are enclosed in a “case”. When they fall from the tree the casing breaks and the seed is relesed away from the tree. Small and light in order to be carried away by the wind. Seed adaptations make the seed stay in the air for longger or help them to be released. This adaptations make the seeds travell longger distances. The flower`s ovary cantains seeds. It becomes then a dry hollow with more openings. The containers shaken by the wind, making the seeds fall through the openings. When they fall they are dispersed around the area. This occurs soon after ripening. The dispersal by wind occurs vey simply and naturally. After the ripening, the seed is unprotected and very weakly attached to the tree so it's very easy for the wind to release it from the tree. Also, the magnolia virginiana can reproduce with the help of animal, usually a bird. The flower has a very strong vanilla smell that can be noticed several yards away and the seed itself it's black but covered by a thin red coat and can be very attractive to seed-eating birds. This animals eat the seed and disperse it by their droppings. There are many other types of seed dispersal that the sweet bay doesn't use. like dispersal by water, which consists on which the seed or fruit falls into the water, and the stream carries it away to more adequate places for that seed to grow. Also seeds can use the method bursting or exploding. is when the plant suddenly bursts open throwing the seeds in all directions. And sometimes the seed attaches to an animal passing by an transports to other places where it's growth it's more probable to happen. 1) By wind: This happens naturally when the wind blows out an almond from the tree were its hanging, here the seed often falls to the ground near the tree because the wind doesn’t have the strength to blow the seed so far. 2) By water: This case is very rare and only occurs when the tree is near a river. It happens when the seed falls into the river and deposit on another part were the river leaves it. Most of the time the seed end far apart the tree and near the river were it had came from. 3) By animals: This happens though ingestion. This means the animal eats the seed and afterward it throws it away as waste and the seed get out. By this way of dispersal the seed can be placed near or away from the original tree, it depends were the animal leaves his wastes, but what is most common is that the seed is placed far apart from the tree. Seed dispersal is very important for the continuality of plants. When seeds do not disperse and fall very near the plant, those plants will grow very near and this will be bad for them, because they will have to share nutrients. But if seeds are dispersed, plants may grow alone and not share essential nutrients. One of the many methods of seed dispersal is the explosive seed dispersal also called Ballistic dispersal. This consists in an explosive discharge of seeds from the fruit. the seeds are ejected from the fruit by elastic contraction of the tissue. Fruits are shaped in the way so that they are flunged away from the "parent plant". This method does not achieve a lot of distance such as the animal dispersal, but many ballisitic dispersed seeds have another way in which seeds are dispersed futher away. One example of this type of seed is Leguminosea, which produces seed pods that dry in the sun. In the pods walls there is tension as the pod dries and this tension eventually causes the pod to split along two lines of weakness. As the two halves curls back, the seeds suddenly burst and they are flunged away in an explive manner. In this picture we can see the halves of the seed pod clearly twisted, and the whole pod which is entire. Ballistic seed dispersal, or autochory, is the physical and often explosive discharge of seeds from the fruit. The seeds are typically ejected from the fruit by elastic contraction of the fruit tissues and often the fruits are shaped such that seeds are flung away from the parent plant. Ballistic dispersal does not often achieve the same distance as animal-dispersed seeds. Squirting cucumbers discharge their seeds in a mucilaginous stream of liquid. Many aquatic and some ground plants use hydrochory (seed dispersal through water). Using this method seeds can travel very long distances depending on the type or mode of water dispersal. Mangrove trees live right in or next to the water. Their seeds fall from the tree and grow roots as soon as they touch any kind of soil. During low tide, they might fall in soil instead of water and start growing right where they fell. If the water level is high, however, they can be carried far away from where they fell. Mangrove trees often make little islands as dirt and other things collect in their roots, making little bodies of land. Mangrove seeds float and so are suited best for water dispersal. Unlilke most plants, some mangroves have seeds that can germinate while still attached to the 'parent' tree. When the seed is germinated, the seeding grows either inside the fruit or out through the fruit to form a propagule (ready to go seeding), which produces it's own food through photosynthesis. Once the propagule is mature it drops into the water where it can be transported great distances. Propagules may remain dormant for more than a year before reaching a suitable environment in which to develop. When the propagule is ready to root,it changes density so that it floats vertically rather than horizontally so that it is more probable for it to lodge in the soil.If it doesn't root it changes density again and floats away looking for better conditions. 1. By wind: wind dispersal can take on one of two primary forms: seeds can float on the breeze or alternatively, they can flutter to the ground. Some tall trees produce seeds with stiff wings covering the seed that enable them to fly long distances. The wings are twisted and balanced so that the seed spins around as it is carried along by the wind. These natural adaptations for using the wind to transport the weight of the seed must be technically accurate, as the wings of modern planes and helicopters are designed in the same way. 2. By water: seeds can travel for extremely long distances, depending on the specific mode of water dispersal. Although seeds of plants that grow in water are obviously spread by water, there are many other ways in which water plays a part in dispersing seeds. Plants which grow beside water often rely on water to transport their seeds for them. They may produce light seeds which float, or there may be fluff that helps buoyancy. 3. By animals: seeds can be transported on the outside of vertebrate animals (mostly mammals), a process known as epizoochory. Plant species transported externally by animals can have a variety of adaptations for dispersal, including adhesive mucus, and a variety of hooks, spines and barbs. Seeds with attractive fruit or seeds.To attract the animals and birds and encourage them to act as seed carriers, plants often surround their seeds with a brightly-coloured and sweet-tasting pulp. the part of an individual disk or ray floret surrounding the base of the corolla, equivalent to the calyx of a non-compound flower. The pappus may be like bristles or tiny hairs, teeth, or scales, and can be too small to see without magnification. PD: sorry i can't put a pic. Seed dispersal is the movement or transport of seeds away from the parent plant so then the plant can expand or spread its range when a seed is carried to a new environment suitable for growth. Burdocks are wild and hardy plants that have long and dark roots which is highly valuable in macrobiotic cooking for its strengthening qualities. The seeds are dispersed by generally sticking themselves to animals or living things in the environment. The prickly heads of these plants (burrs) are noted for easily catching on to fur and clothing; this provides an excellent mechanism for seed dispersal. Burrs cause local irritation and can possibly cause intestinal hairballs in pets. However, most animals avoid ingesting these plants. Seeds that grow too near to their parent plants, have to compete with the parent plants for food, light and space. Seeds therefore need to be spread away from the parent plant if they are to avoid this competition, and grow into well developed and healthy new plants. The spreading around of plant seeds is commonly referred to as dispersal. Some plants have wind-dispersed seeds, which are occasionally blown many miles from their origins. This means of dispersal is common among pioneer plants (plants that are adapted to colonizing disturbed habitats). Because of their superior ability to invade newly-disturbed ground, pioneer plants comprise many of our agricultural and garden weeds. Moreover, most annual crops are domesticated pioneer plants. That’s why we need to plow (disturb) fields in order to grow them. Many plants use animals to disperse their seeds in another complex coevolutionary process. Small, brightly-colored fruits such as hackberry and boxthorn are offered as food for birds that swallow them whole. Other fruits such as those of hedgehog cacti are large and birds feed on them repeatedly. Some bird fruits are sticky, such as mistletoe berries; a few stick to the bird’s bill until wiped off on a branch while others are successfully swallowed. The seeds of bird fruits are typically small and hard; they pass through birds’ guts undamaged and may be deposited many miles from the parent plant. Even in the desert some seeds are water-dispersed. Blue palo verde (Cercidium floridum) grows mostly along washes. Flash floods disperse the very hard, waterproof seeds downstream, scarifying (abrading the surface of) them in the process. In the absence of scarification these seeds must weather in the ground for a few years before the seed coats become permeable and permit germination. Milkweeds, also known as Asclepias, are a type of plant which has over 140 different species. Asclepias were name by Carl Linnaeus after the greek god of healing, Asclepius, becasue there were many folk-medicinal uses for this plant. They are an important source of nectar for bees and many nectar-seeking insects. Some species are know to be toxic. Pollination in milkweeds happen in a very unusual way. Pollen is grouped in very complex structures called Pollinia (or pollen sacs), rather that the typical way which is in individual grains. Feet or mouthparts insects such as bees, wasps and butterflies slips in between the pollen sacs and the base of them are mechanically attached to the insects, taking some pollen sacs with them. There are many types of Seed Disposal. This seed disposal is often called Myrmecochory, or seed dispersal by ants. Plants like Trilliums disperse by the help of animals, or ants. The way this works is that the seeds are coated with something called Elaiosome, a fleshy body that is also basically ant food and very well attached to the seed. The ants find this Elaiosome body irresistible and drag the seed into their homes, or the colony of ants. When they take it down there, the ant is basically planting the seed on the ground and also protecting it from birds or any seed eating insects and birds from eating them. Also it is protecting it from forest fires that may burn the seed and later on may not be able to grow and germinate. After this, Trilliums have an approximate time of 5-9 years in order to reach a flowering age. Seed dispersal is important for all plants as it is key for the next plant to grow properly. This is because for the younger plant or seed to grow it needs all the essential elements, and if it is too near the mother or parent plant it will be sharing the nutrients needed and it will affect its growth. There are many different forms of seed dispersal, and the most common ones are through water, air or through an animal. But this form is very rare and different and it occurs with only very few plants. 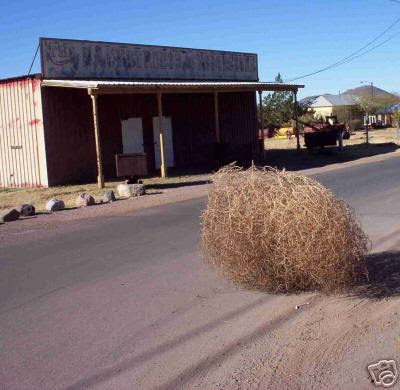 The common tumbleweed was originally from Russia and Siberia but it was brought to america. One plant can produce 20 to 50 thousand seeds and as it falls it comes together with the other seeds and it is pushed by srtong gusts of wind. The tumbleweed moves across valleys and down hills as it drops all of its seeds on the way. Jewelweed has soft semi-succulent stems and leaves, and prefers shade to bright sunlight. They hang suspended from tiny ítems and grows in huge clusters in shady forested areas, particularly where it can find moist soil. You can recognize these clusters immediately by the smooth and almost luminous appearance of the jewelweed leaves, and by the uniformity of the foliage. Jewelweed clumps manage to grow so densely that they prevents other plants from growing around. Its common name (touch-me-not) comes from the way this plant disperses its seeds. The little hanging structures on the plant are its seedpods. After the pods have grown to maturity, when touched, they burst with a little pop. Explosive dehiscence (spontaneous opening at maturity of a plant structure) ballistically disperses seeds in a number of plant species. During dehiscence, mechanical energy stored in specialized tissues is transferred to the seeds to increase their kinetic and potential energies. In this species the valves forming the seed pod wall store mechanical energy. 4.-This seed is often produced in globose heads or puff-like clusters. 5.-belongs to the sunflower family (world's largest plant family with about 24,000 described species). 6.- Hundreds of parachute seeds (each with a tuft of silky hairs) are produced within large, inflated pods called follicles. 7.-Seeds get very far away from their parent plant in order to avoid competition. It is ñight so with a small gust of wind the seed can fly across valleys or mountain slopes. 8.-Seed dispersed by the wind agent. -The bright yellow variety of passion fruit, which is also known as the Golden Passion Fruit, can grow up to the size of a grapefruit, has a smooth, glossy, light and airy rind, and has been used as a rootstock for the Purple Passion Fruit in Australia. - The dark purple passion fruit is smaller than a lemon, though it is less acidic than the yellow passion fruit, and has a richer aroma and flavor. In Colombia, the purple passion fruit is referred to as "gulupa", to distinguish it from the yellow maracuya. Passion fruit is dispersed by gravity. The effect of gravity on heavier fruits causes them to fall from the plant when ripe. Gravity dispersal also allows for later transmission by water or animal. Tomatoes (which are high in Vitamin A, Vitamin C and lycopene helps prevent many cancers) they have the same method for dispersing their seed as strawberries, raspberries, grapes, etc. They contain seeds which are surrounded by a gelatinous coat which allows the seeds to pass through an animal digestive system without hurting the seed itself. This biological process is called endozoochory, and can be done by birds, foraging animals or mammals. These seeds are excreted by the animals without being digested. Later, a natural process in the earth produce the outer coating to dissolve and leave the seed to germinate and produce a new plant. Tomatoes require a quick-draining and acidic soil, a lot of sun, plenty of warmth and they need a lot of water. They do not grow well in cold conditions or if they are exposed to frosts. When seeds have germinated, the plants do best with a lot of nutrition also, such as fertilizer extracted from a nursery or orchard or the trash of garbage. Unless these needs are met, tomatoes are unlikely to flourish. Plants need to disperse their seeds away from themselves to stop overcrowding and to create new colonies. It’s the movement of seeds away from the parent plant to expand and spread its range as the seeds is carried to a suitable environment for development. Nearly all seeds are produced within “fruits”. These fruits enable seeds to be dispersed in a variety of ways. Some of this ways are wind, bursting, shakers, water, animal, drop and roll and others. By wind: The kind of seeds which are often wind dispersed are smaller seeds that have wings or other hair-like or feather-like structures. Plants that produce wind blown seeds, like the dandelion shown in the video clip below, often produce lots of seeds to ensure that some of the seeds are blown to areas where the seeds can germinate. Busting: Another less common method by which plants disperse seeds is by means of explosive fruits. Many frits burst with a sudden jerk, as a result the seeds are dispersed to a little distance e.g. balsam, castor, night jasmine etc. By water: The plants which grow among the banks of rivers and streams or in water disperse their fruits and seeds by water currents. Such fruits and seeds being light float on the surface of water due to the presence of spongy tissue containing air. The seeds of water lilies have buoyant covering that enable them to float. The fibrous fruits of coconut are carried to long distances on rover or sea coast without causing any damage to the fruits. Fruits are provided with a coat, which is water proof, salt resistant and buoyant. Animal dispersal: Animals disperse seeds in several ways. One is that in some plants like burr, have barbs or other structures that get tangled in animal fur or feathers, and are then carried to new sites. Other plants produce their seeds inside fleshy fruits that then get eaten by an animal. The fruit is digested by the animal, but the seeds pass through the digestive tract, and are dropped in other locations. Some animals bury seeds, like squirrels with acorns, to save for later, but may not return to get the seed. It can grow into a new plant. 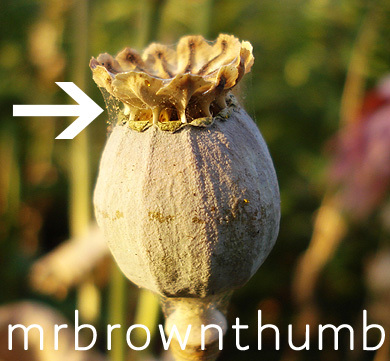 Some plants, like, Opium poppy, have a very special way of seed dispersal. The head of this plants (also known as poppy seed heads), after being dried by the sun, have little hloes all around their top (like pepper or salt shakers). These shake when it's windy and the tiny seeds are thrown out of the shaker the holes on the top of the plant. Seed Dispersal by shaking can also occur with the help of an animal. For example, the African Elephant eats the Acacia plant and helps to disperse the seeds by shaking the trees. When the elephant eats the seeds, they find a fertile home in the elephant's droppings. The way a plant stores its seeds and disperses them is an example of a fire adaptive strategy. The intensity of the fire ( it is important the fire reaches the right temperature) is crucial to the seeds dispersal. Also important is how often the fires occur. A number of species of pine have cones that only open after a fire. These are called serotinus. Jack pines have cones that are held closed by a resin sensitive to high temperatures. These cones will not open to release their seeds until a critical temperature is reached. Another type of pine called Lodgepole pine ( this is a western U.S. variety of tree) is both serotinus and free opening. (the right heat is crucial to the seeds dispersal mechanism). Some species store their seeds in the soil until a fire reaches the right heat for germination to be triggered. Again if the fires are low intensity the parent plant may die but germination not triggered. 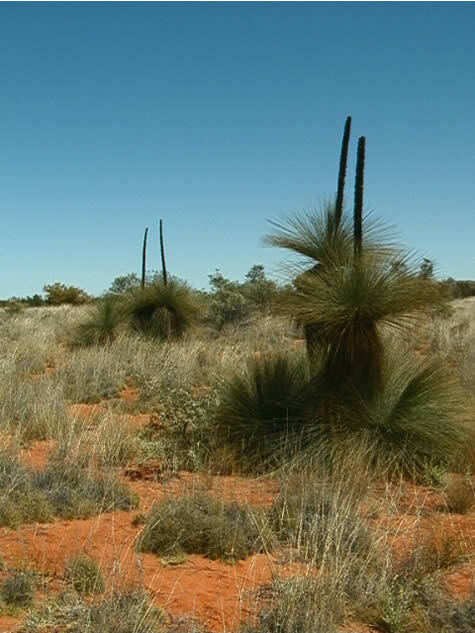 Fires are often deliberately lit in the bush to trigger germination from soil seed banks and to kill weeds. -Animals: Animals disperse seeds in several ways. First, some plants, like the burr at left, have barbs or other structures that get tangled in animal fur or feathers, and are then carried to new sites. Other plants produce their seeds inside fleshy fruits that then get eaten be an animal. -Wind: The kind of seeds which are often wind dispersed are smaller seeds that have wings or other hair-like or feather-like structures. Plants that produce wind blown seeds, often produce lots of seeds to ensure that some of the seeds are blown to areas where the seeds can germinate. 15cm pods containing seeds surrounded by a fluffly, pale yellowish fibre that resembles cotton. It has been used as a filling for pillows. So as the fibre is not so resistant or strong, this tree uses a combined method of seed dispersal. The pods split open to expose the fluffly cotton which then requires wind to dislodge them from the pods.